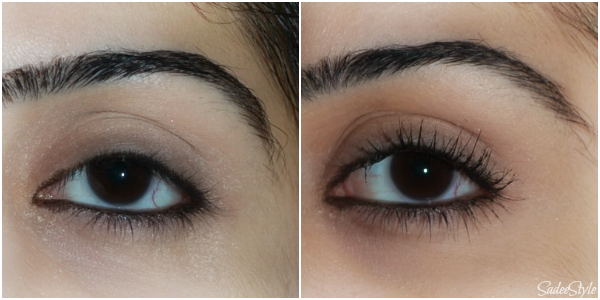 When it comes to mascara I always go with the one which give volume and length to my thin, but long lashes. My previous mascara was dried up so this is a time to tryout the new one. 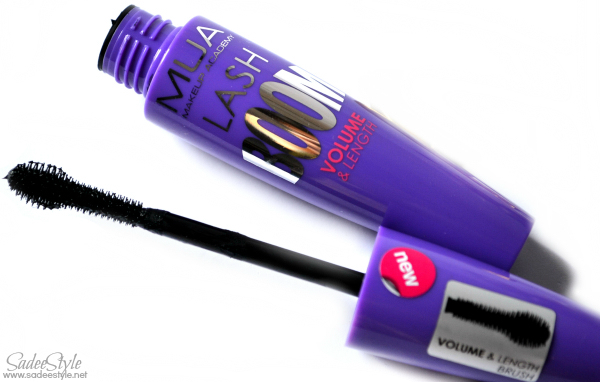 MUA recently launched it's new LASH Boom mascara in chubby vibrant purple tube to give volume and length at a same time. It's available in three shades, Ultra black, Black and Black Brown. This time MUA comes up with new innovative idea of round ended bristled wand which look odd at first sight, but ideal to give length. The round bristle end will help catch the tiniest of lashes in the inner and outer corners, to create a fanned out effect. I was very glad to have this in my mailbox. I was already impressed with the cute feminine packaging. I immediately opened the seal and was little surprised to see the odd wand, but later found this wand amazingly effective. Applying mascara is too tricky because of its watery texture. It does good to lift lashes up also help separate lashes well without clumping. Though it doesn't give too much volume, but quite successful to give length. In past I tried more expensive products with lesser result. It's really pretty and I love how it gives a noticeable effect to eyes and last for long without flaking. I got in Ultra black and it's available in two other shades to choose from. For ordering MUA please visit the site. It lift lashes well without eyelashes curler. Not very successful to give volume. Disclosure: The products featured in the review were provided for review purposes.. All opinions are honest and my own. I really like its wand. Result is also good. Nice rewiew.